Despite many reports to the contrary, the hull sides of the M4A1 Sherman are not vertical, at least on the half-dozen or so M4A1(76) HVSS I've seen. Making a steel casting in a sand mold is in some ways similar to molding a plastic model part. There cannot be any vertical surfaces parallel to the direction the part is withdrawn, because the slightest variation will cause the part to stick or the surface to tear. With casting, the issue is that the pattern - not the part - must be withdrawn from a sand mold without sticking or tearing the packed sand. 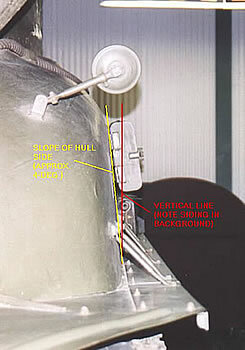 To do this, a slight (three to five degree) "draft" angle is added to the pattern sides so that every vertical section is smaller than the one below it, in essence making the hull wedge-shaped. Incidentally, the 75mm turret has to follow the same principles when it is cast, and its sides aren't vertical either. 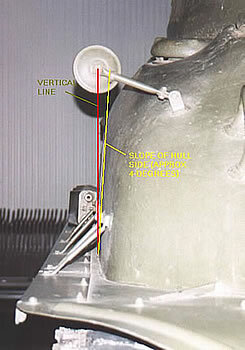 The problems that may occur in model kit making is that the draft angle for plastic molding may be different from that used in steel casting, or that the dimension used to start the angle may be mistaken for that at the other end of the slope such that the part comes out bigger or smaller than it should be.